The Diogenes L scratching barrel is an Eldorado for all cats that love to play. It has three large entrance holes and there is plenty of room for more than one cat to play away to its heart's content. The lower and middle dens are connected to each other which make them perfect for crazy games. The upper den is a great place to hide away from the hustle and bustle. And right at the top there is an observation deck with a soft, plush covered bed where your cat can watch the world go by! The barrel is covered in durable sisal so your cats can scratch away as much as they like without ruining your curtains and furniture. The Diogenes Scratching Barrel - L at a glance: Total dimensions: H 85 x diameter 39 cm Covered with natural sisal Colour: beige or black With 3 dens: Inner dimensions: approx. diameter 37 x H 23 cm Entry openings: approx. diameter 17cm Two connected dens (lower/middle) 1 connecting hole: diameter 17cm Plush covered bed (top level): Dimensions: diameter 39 x H 6 cm Sleeping area: approx. 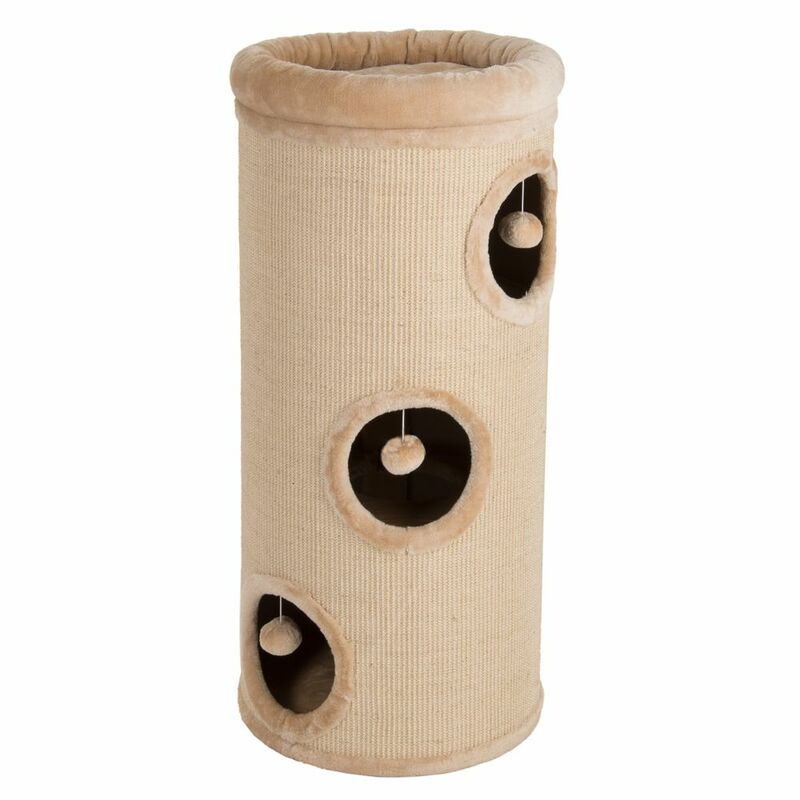 diameter 30cm Cosy, padded Perfect for playing, sleeping and scratching Please Note: Check this product regularly for any damage, loose joints or screws and replace the item when it becomes defective to avoid any harm coming to your pet.